Translation: Yuriko Nakamo, and it has quickly become an institution for the area’s trend-conscious housewives. 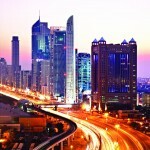 On the heels of its success, it has now opened a few more shops around the town including one in the busy Dubai Mall. S*uce deserves its reputation and is always full of surprises, with a mix of unique pieces of lifestyle items and home interior accessories by up-and-coming designers. You can find the most enduring form of souvenir from Dubai in an item of clothing designed by local artists – perhaps a purse with Arabic writing. S*uce supports countless local and regional designers. The shop hold an annual Shopathon every September, where designers get to launch and showcase new collections. They also collaborate annually with local and international artists for Art Dubai. In 2011, S*uce launched the S*uce Benches Project, inviting artists from different fields to customize individual benches placing them around town in an attempt to increase the use and appreciation for benches in the city. Shortlisted as a finalist in two categories at WGSN’s Global Fashion Awards (Outstanding Brand Mix and Outstanding Fashion Innovator), S*uce also boasts various awards such as the Best Independent Boutique of the Year Award by Emirates Women in 2006 and Best Boutique at Grazia’s Style Awards in 2007, 2010 and 2011. 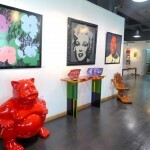 S*uce has grown since from a little Jumeirah Jane store to an award winning fashion and lifestyle phenomenon of Dubai.